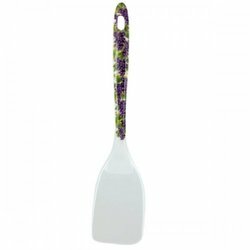 Easily prepare a variety of foods with this Grape Print Melamine Turner featuring a durable, heat-resistant utensil with a flat, tapered surface for easy flipping and a curved handle with a decorative grape print. Handle has a hang hole for easy storage. 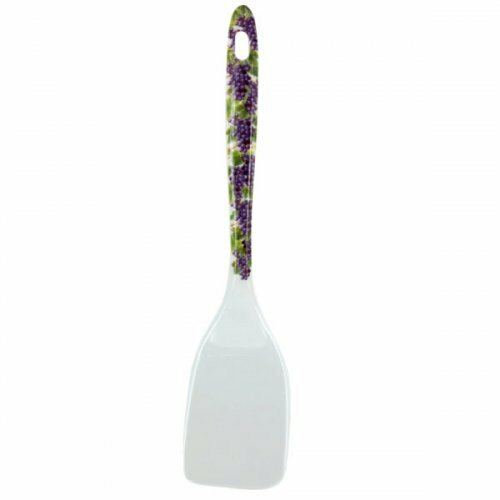 Measures approximately 11" long with a 2.5" wide turning surface. Comes loose.